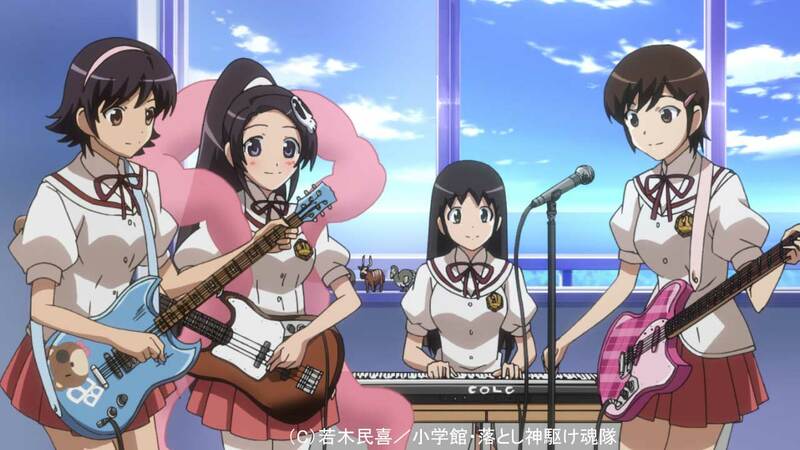 Chihiro forms a rock band with her friends Elsie, Ayumi and Miyako. But their music is horrible and needs more practice, so Elsie suggests forming a light music club and getting their own club room, to which they agree. However, Kodama-sensei refuses the formation of any new clubs and gives them a challenge: if all of them can get a perfect 100% score on their next English term test, they will get the approval to form their club. Disheartened the girls are about to give up when the appearance of the nation-wide idol Kanon leads to a new development. Overjoyed about her classmates being interested in music, she reveals to be the guest star of the upcoming Mai-High dance festival. At that moment Chihiro's competitiveness is sparked and she declares that the band will be competing against Kanon at the school festival. But there is still one problem. How are the girls supposed to improve their grades in such a short time and get their own club room for practice? It is time for the god who always scores perfect grades to fulfill a promise he made with a girl who was about to give up once already.